Indian trucks may still look like how they were decades ago, but are undergoing great makeover in recent times. There are several sophisticated safety and comfort features that are getting added silently. Thanks to tightened emission norms, new regulations, that newer electronic engines have made it possible. Also when market is getting heated up, new entrants are bringing additional features to differentiate themselves and eventually incumbents are giving these features to defend their market share. 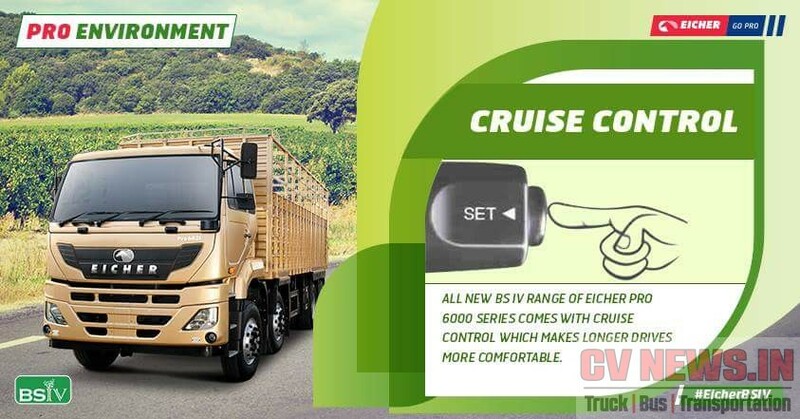 While many features are getting added, we felt the introduction of Cruise Control is an important feature that is getting added in the Indian value trucks segments. A feature, Indian truck drivers could not even dreamed until a few years ago, has finally made its entry into “Saadha trucks”. Predominantly trucks are getting classified in each application to Economy, Value and Premium. While premium trucks and buses like Volvo, Scania are offering many safety and comfort features, since beginning, it’s now the Value trucks, that are now offering newer features like Cruise Control. Cruise control enables the driver to drive the truck at a set desired speed without continuous application of accelerator. The engine ECU takes care of maintaining the desired set speed until the driver wish to interrupt. Cruise control can be activated above certain speed, say 50KMPH speed and further the speed can be set at a least count of 1/2/5 Kmph. When the function is ON, there is an information warning symbol glowing in the instrument cluster, reminding the driver that the truck is on cruise control mode. Driver can cut-off the cruise mode either by pressing either of brake, clutch or in some case can even accelerator pedal. This varies from manufacturer to manufacturer can also be done through the manual override switch. As new age highways criss cross our country, maintaining constant speed at long hauls benefits many stake holders. Drivers when driving continuously for long hours can get benefit out of Cruise Control and their fatigue level can be reduced to an extent. This increases their productivity and ensures they stay attentive. Driving in a constant speed increases fuel performance as much as 10%. If driven at the sweet spot of engine, then the engine is more silent and gives the best out of it. Since the truck is operated more in uniform fashion, unnecessary braking, clutch riding are all avoided and hence improves the life of aggregates like Clutch disc, brake lining,etc. Newer BS IV trucks do comes with SCR technology and this requires dosage of Diesel Exhaust Fluid, DEF or Ad-Blue, into exhaust system to reduce the NOx. The generation of NOx depends of engine speed and when its constant speed, the dosage will be more linear. This ensures only adequate quantity of Ad-Blue is dosed, thus consumption of Ad-Blue (which cost Rs.70/- litre) is optimized. While a cruise control is been looked as a premium feature the cost impact in the truck is very minimal or in many cases its Nil. Reason being this is more of the ECU driven function. 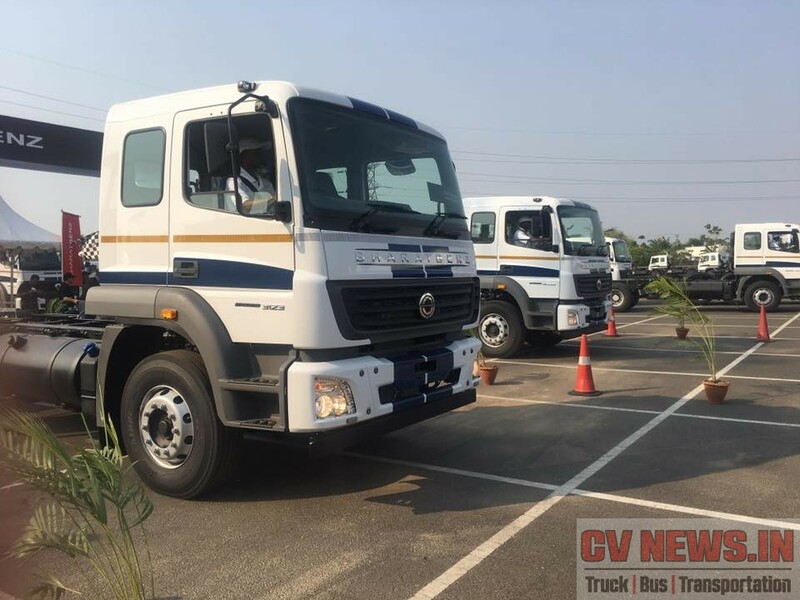 Newer trucks have advanced engine management system and they are controlled by higher capacity electronic control units unlike past, when the trucks were either driven with mechanical fuel pumps are with electronic fuel pumps with minimal functional. So ideally it’s a new software and few switches that gives life to this great feature. It was Eicher who first gave this feature as a bundle in Pro series trucks. 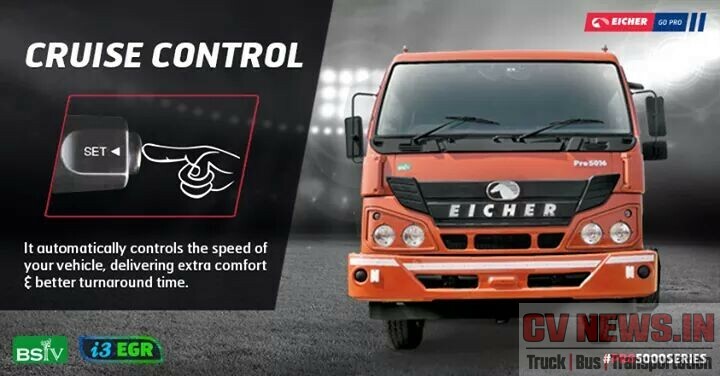 Eicher is one company which is now in full throttle and all the new Pro series trucks are sophisticated and offer nothing short of what other manufacturers sell. BharatBenz in their latest BS4 heavy duty trucks offer an add-on function “Speed Limiter” along with cruise control. 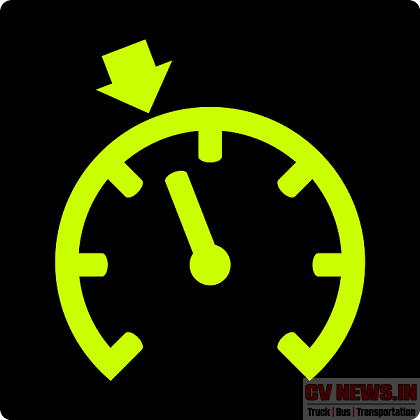 It enables driver to set maximum limit of speed above 15kmph and ensure truck does not over speed. Example, while driving downhill, he can set the speed to 20kmph and truck drives down safely, without engine overrunning. Similarly in city limits, driver can set speed limit as desired and be safe he does not fall prey to traffic violations. What’s in it for the driver? Considering the challenges faced by the transport sector like driver shortage etc, these features become significant in upgrading the working environment of driver community in the long run. Latest features like AMT, cruise control etc could be the start of yet another revolution like power steering in the Indian CV space. 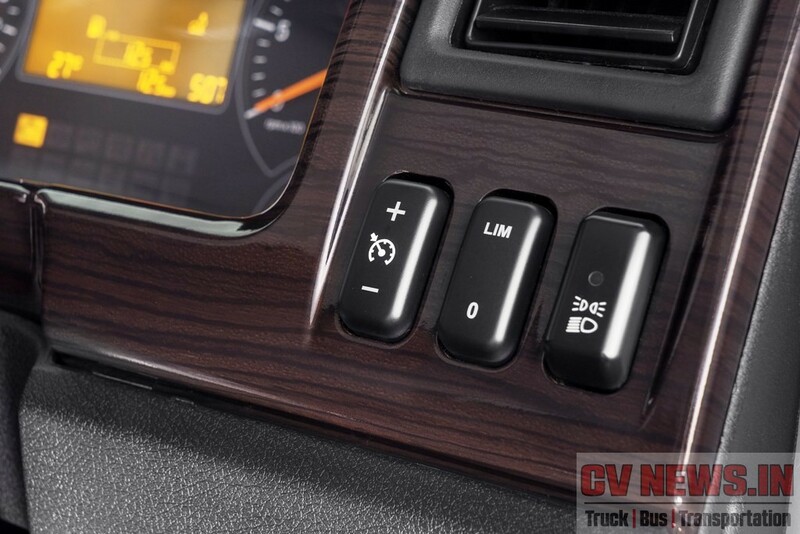 1 Comment on "Cruising the Highways with Cruise Control – Value trucks now gets more features." Another feather in the cap for progressing Indian CV industry. But how relevant is this to Indian road conditions? >Yes, the six lane national highway does seem to be decongested. Apart from that, how often can one find sub-urban roads where application of brakes are minimal? >Cruise control in context of these trucks will manage only the throttle. How often can one find flat terrain without uphill (and downhill) ramp? Which necessitates downshift (or upshift) of gear. Coupling AMT with Cruise control would probably make it more effective on Indian roads. 1. Infrared bio sensor : This is fitted below the steering wheel, driver’s palm(or finger) should cross the sensor at least once every 90seconds, failing which the throttle is cut off. 2. Proximity sensor : If the driver gets close to a vehicle at front, an audible beep alert is triggered and visually notified as color of LED turns from green to amber. If the driver gets more closer, throttle is cut off. Safety feature like these are a must for trucks with cruise control.